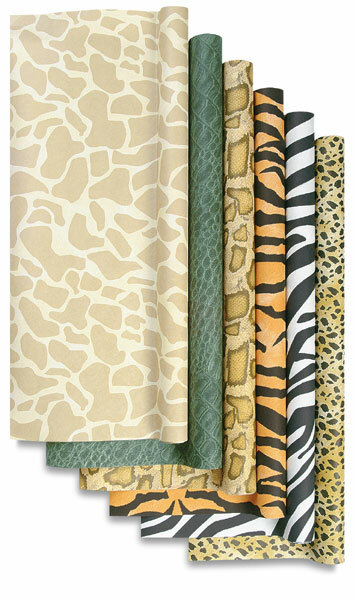 Realistic animal skin patterns of tigers, zebras—the whole menagerie bring an exciting experience to displays and decor. Also for scrapbooking and crafts. Fadeless ink technology keeps patterns vibrant. Four sheets each of the six animal prints.